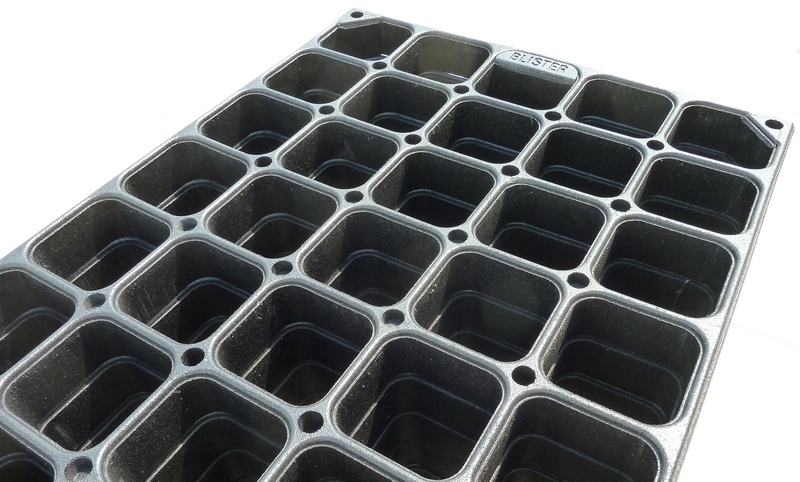 Products | New Farms | Materassi autobloccanti per vacche da latte. 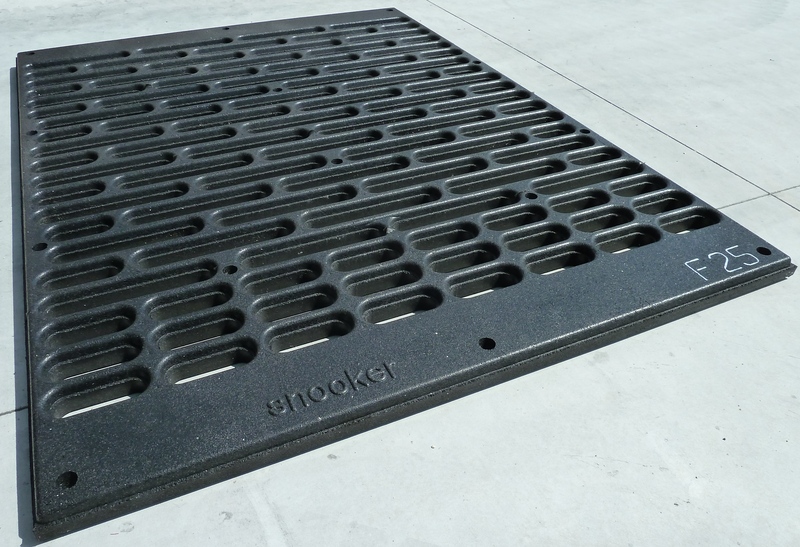 Traditional cow mats (made of rubber, fabric, or the like) often cause abrasions, trauma or injuries to the skin of animals. 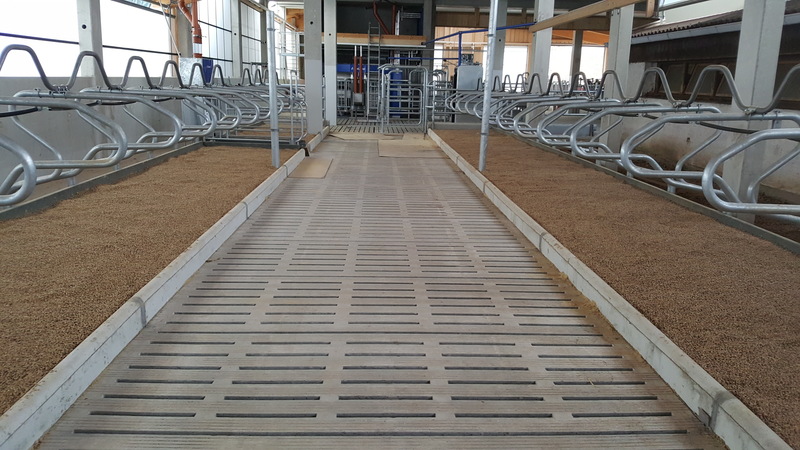 However, such obstacles to the welfare of livestock can be overcome by using sand in the cubicle: in this way the proliferation of microbes is prevented and also reduced, while abrasions are almost totally absent. 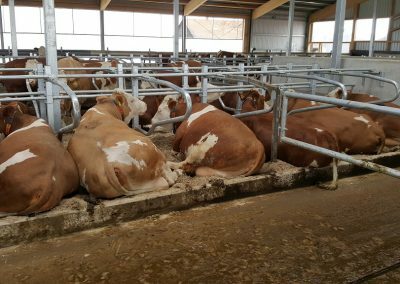 In addition, a longer permanence of the animals inside the cubicles (up to 14 hours a day) is ensured by the use of the inert material. 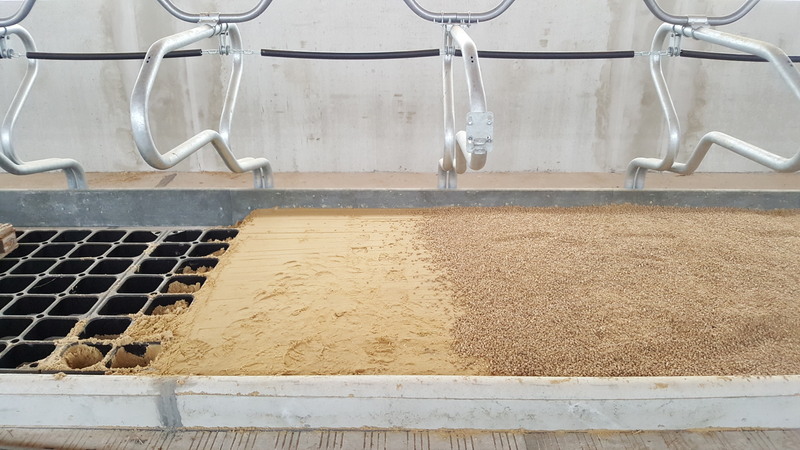 Although quite common in America and in northern Europe, the use of sand might be a bit of a nuisance: it might bring about subsidences and holes in the cubicle, and then the leakage of the sand every time the animals leave their place. All this might cause clogging and premature wear for both storage tanks and pumps. 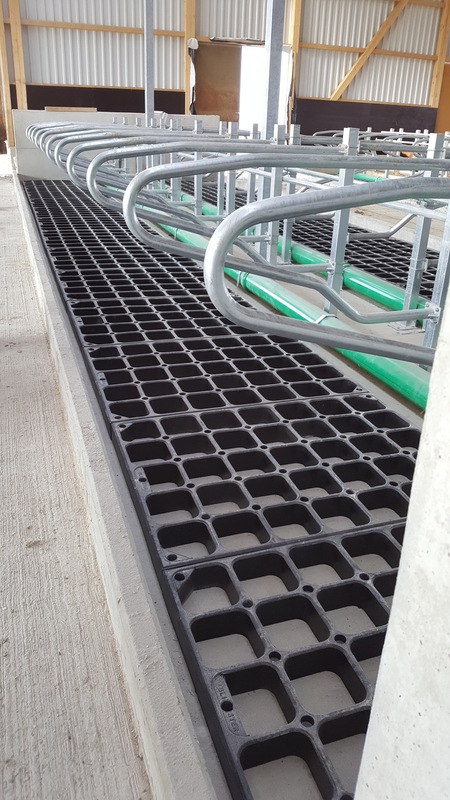 Thanks to the Blister‘s capability to retain the inert inside its 35 cells, the expectations of breeders for a safe use of sand in the cubicle are now thoroughly fulfilled. 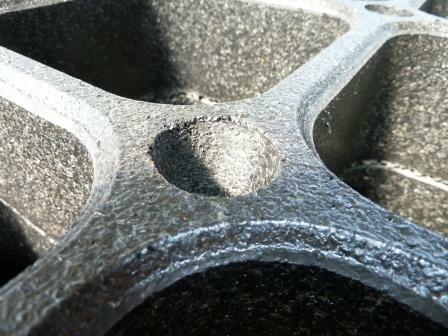 Conglomerate of rubber granules from used tires glued together by means of polyurethane resins.. 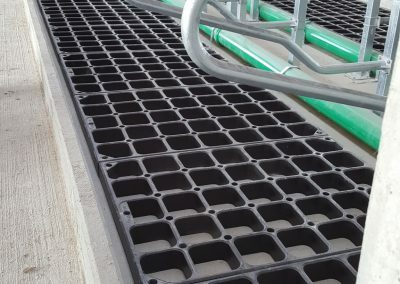 The sand saver called Blister is resistant to insects, microbes and fungal attacks; and It does not accumulate static charge. 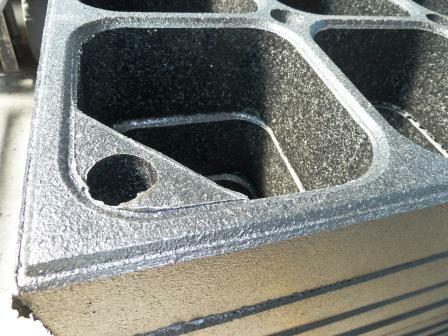 It is highly resistant to acids and does not rot. Its characteristics remain unchanged over time. The product is 100% recyclable. 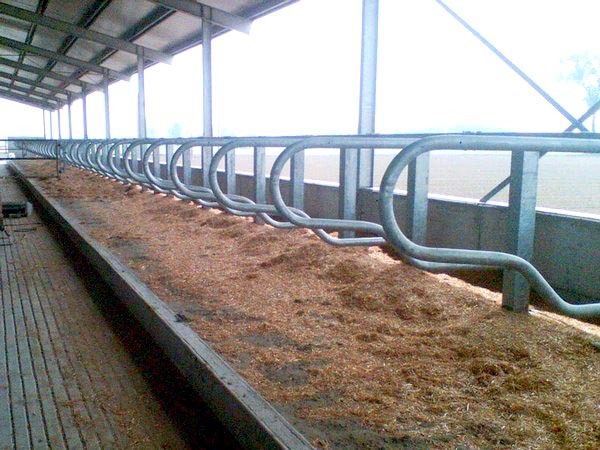 – Cover the Blister with a layer of 5 cm of bedding material – such as: chopped straw, pellet straw, or additional sand etc. later, the breeder must keep taking care of the cubicles. 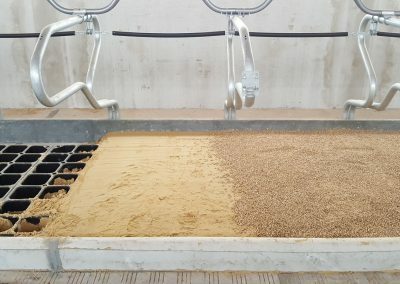 Although after the first week of adaptation the sand is compact and well-pressed in the cells of the sand saver, and it is no longer necessary to add further sand, it is however necessary to renew the surface layer every 8 or 10 days approximately. 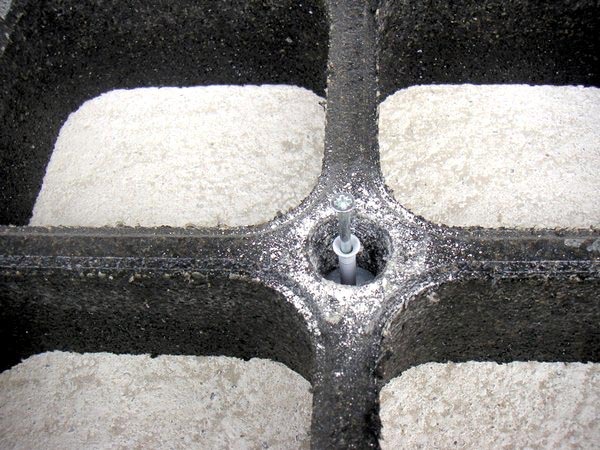 It is recommended to fasten each piece in adherence with the next starting from the wall of the first cubicle. This is to ease the strain on the expansion screws. 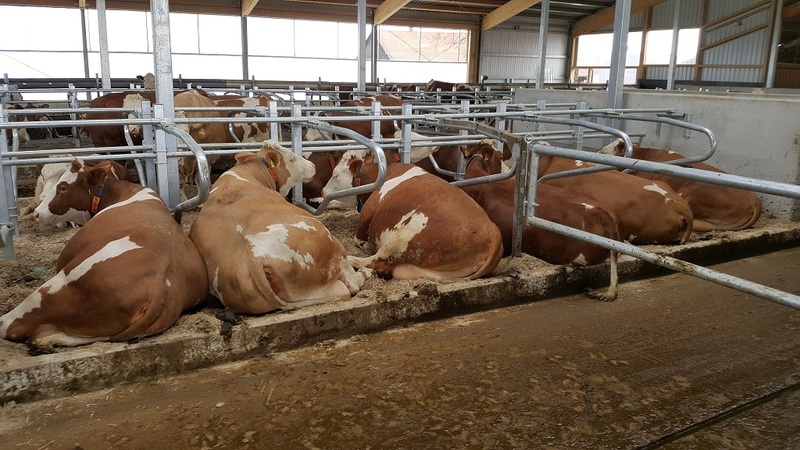 It is also important to install the Blister at a distance of about 8 cm from the rear curb of the cubicle, so that the animal does not excessively overload the front part of the sand saver while bending her fore legs to lie down. 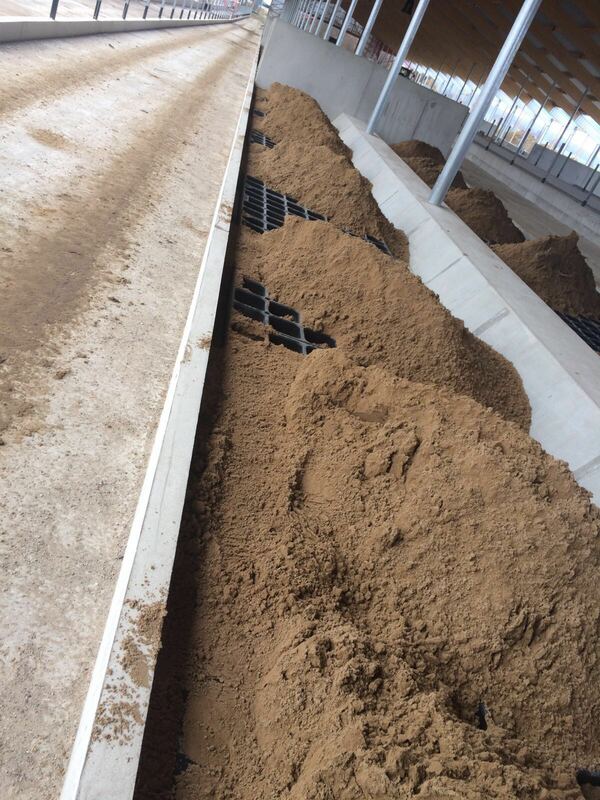 New Farms launched Snooker on the market: the sand saver for flat cubicles. Snooker keeps unchanged the features and quality of Blister system. 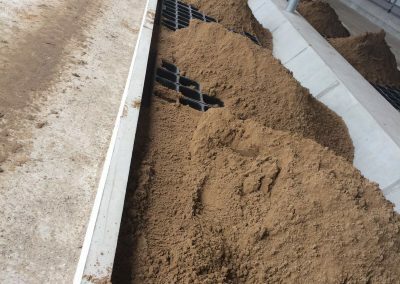 – Cover the Snooker with a layer of 5 cm of bedding material – such as: chopped straw, pellet straw, or additional sand etc. The products New Farms are guaranteed for a period of 3 years. 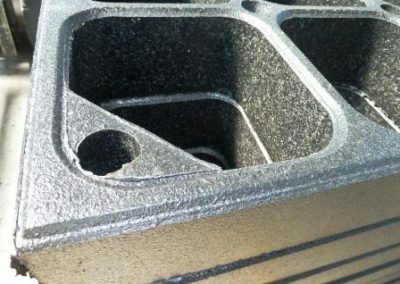 The warranty is valid only if the installation is carried out properly and by following the assembly diagram attached at the time of delivery.